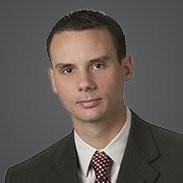 Chris Wike is an attorney at Hajjar Peters here in Austin– not exactly someone you’d think to turn to for Sales for Nerds. Lawyers can’t sell and market like everyone else. There are regulations and ethics rules and approval rules that limit what you can do. For example, if there’s a lawsuit against a business, lawyers can’t reach out and offer to help them with a specific case (unless it’s an existing client). If you want to run an ad on TV or send out a mailer, or even publish ads online, you need to get approval. You can argue whether this is a good consumer protection or incumbent-driven efforts to make it harder for young lawyers (maybe some of both? ), but that’s the reality, especially in Texas. How Chris starts relationship building with folks you might not expect and how it gives him control of his career. How Chris gets meetings with high level people. How Chris hosts networking events– this is a crazy good idea that you should start doing right now. Why Chris doesn’t like retainers. Chris’s strategy for networking outside of his own events. How Chris tries to set himself apart as a service provider (great advice for any service provider). Why it’s great that clients may not care what you’re telling them. How do you give great value to clients. Chris’s 2 rules for working with people and what he wishes students would learn in school. Plus, I interject with my philosophy on people and tell you how to get an inside track to Sales for Nerds. 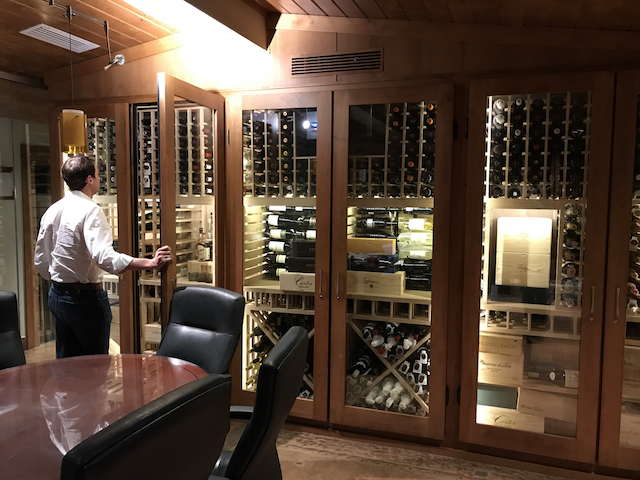 Chris and his partners have a 1500 bottle cellar in their conference room. But you don’t need that to take advantage of Chris’s killer networking strategy. 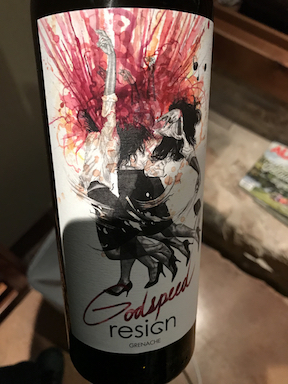 2015 Godspeed Granache from Resign Wine. Yummy blend of 80% Grenache, 20% Mourvèdre– the grapes are California, but the company is actually based here in Texas.